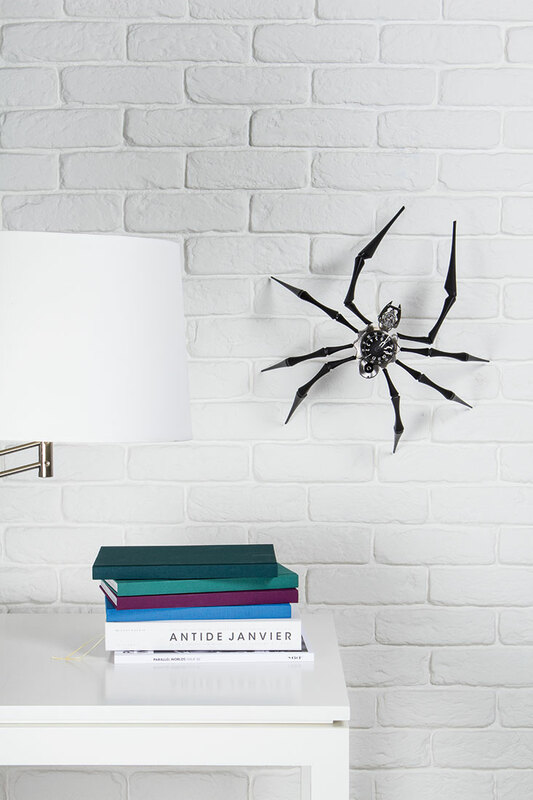 I don't know about you but if I had a giant spider as part of my interior décor I'd be constantly on edge upon catching sight of it. 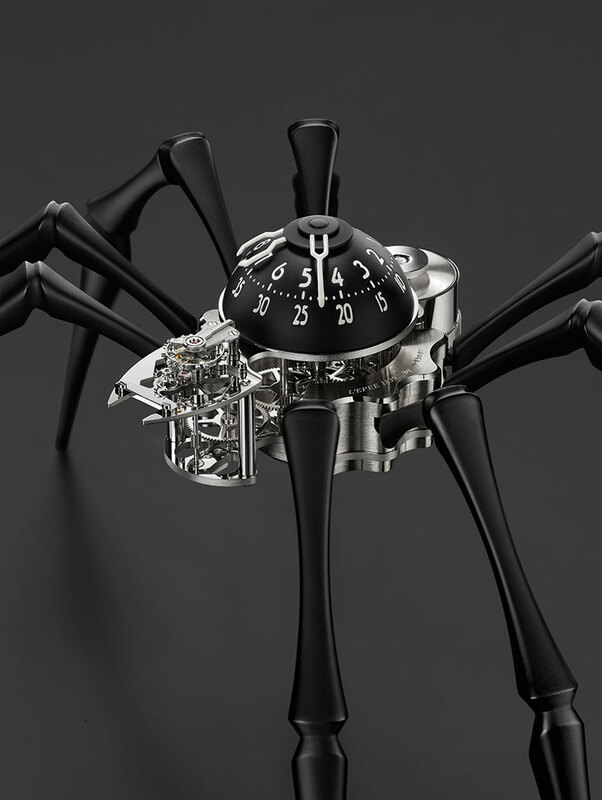 At this year's fine watch exhibition, SalonQP, MB&F will be showcasing its new release timepiece 'Arachnophobia'. Designed to echo Bourgeois's Maman sculpture at the Guggenheim Museum in Bilbao, this unique timepiece has been crafted to perfection at L'Epée's Swiss Atelier. The unusual design proposed challenges for the fine watchmakers, such as creating the eight legs in a way that would allow for precise geometry and a hand-polished finish. The process involves using a technique called injection moulding commonly used for shaping plastics but not metals. Here the material, in this case metal, was subject to high heat and injected into the mould. Upon cooling, the mould was removed and the legs remained. But it's not complete yet. An impressive amount and range of finishing goes into each element of the watch. Some of these include sand-blasting, satin finishing and mirror polishing to name a few. 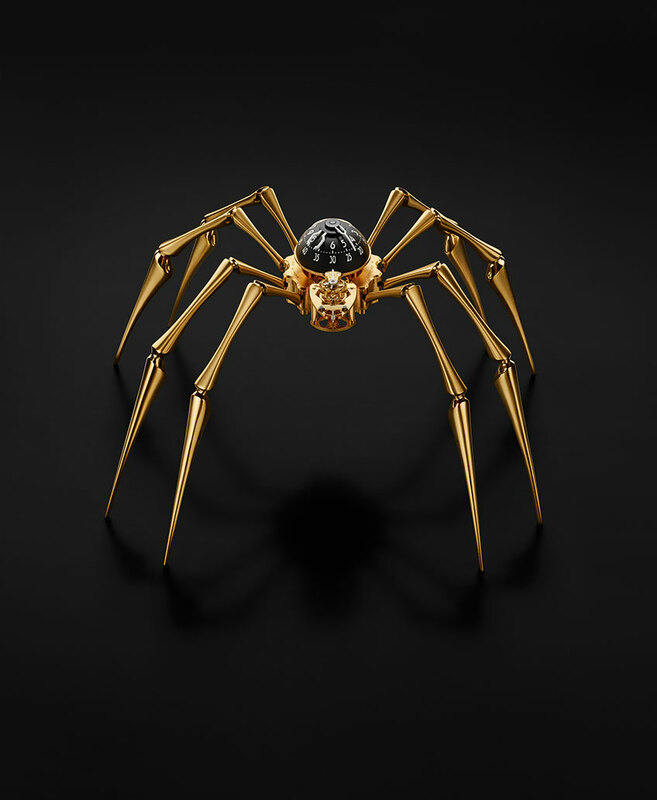 Arachnophobia comes in two versions: 18ct yellow-gold with gilded-brass legs or black injection-moulded aluminium, hand-finished and lacquered black. To create the wall-hang - an idea that came to Nicolas while holding up the watch in a meeting - a special catch underneath the movement hooks on to a stainless steel wall bracket (visible in main image). Otherwise Arachnophobia can be manoeuvred to be standing or have the front two legs lowered, creating the impression the 'spider' is attacking. The watch is made up of 218 components and is highlighted by 11 jewels. With legs extended it is 20.3cm high and the clock diameter (with legs flat) is 40.5cm. The gold-plated design weighs more than double the black at 1.96kg, which weighs 0.98kg. 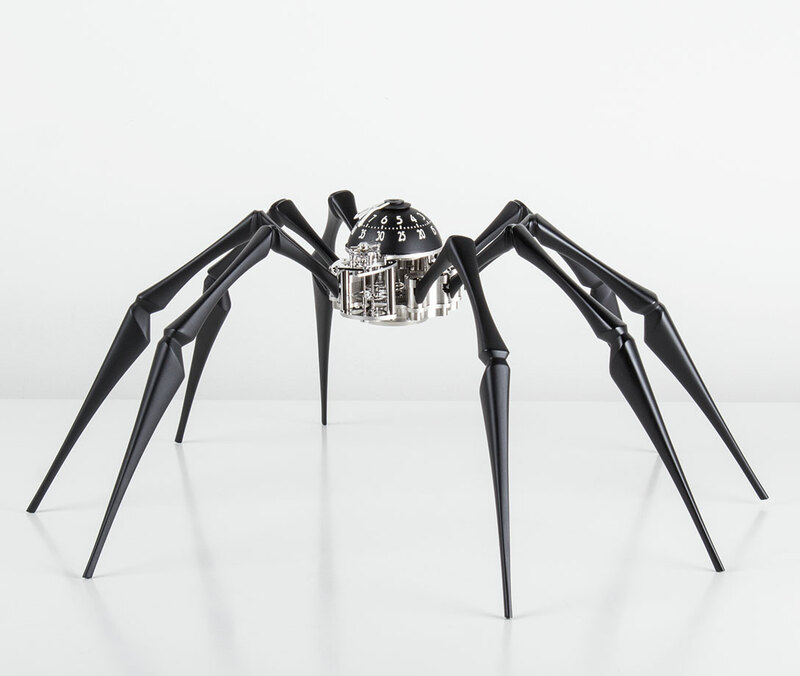 Arachnophobia will be at the Saatchi Gallery for this year's SalonQP, now in its seventh edition, from 12-14 November 2015. SalonQP illuminates the world's finest watches with newly-launched and limited edition timepieces. Panel discussions, film screenings, craftsmanship demonstrations alongside photography masterclasses and more will also be available. 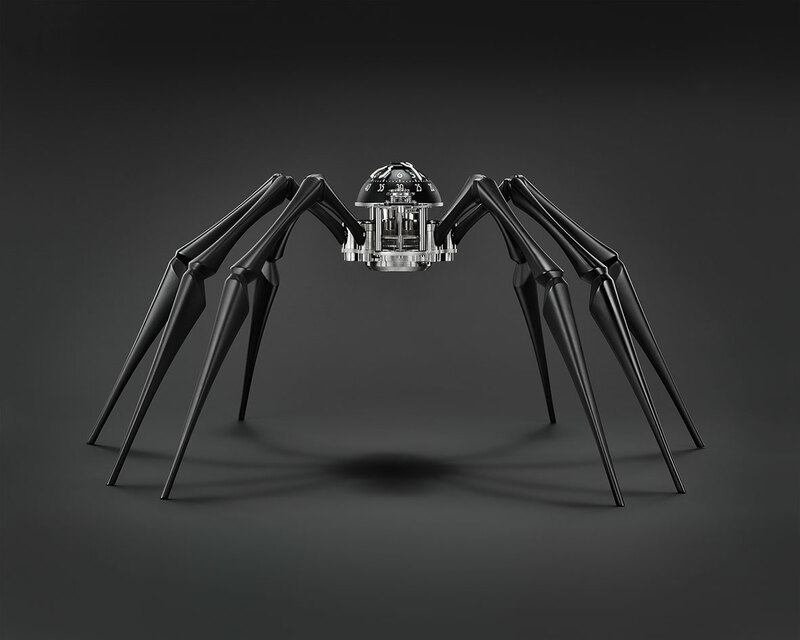 Keep your eyes peeled for MB&F's Arachnophobia, rubbing shoulders with works from Harry Winston, Montblanc, Georg Jensen and more. Visit SalonQP for further details.